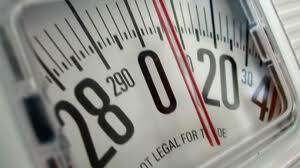 When binge eating disorder gained legitimacy as a full-fledged mental condition in the latest edition of the Diagnostic and Statistical Manual of Mental Disorders in May, many people in the eating disorders and obesity communities wondered: Will this inspire us to finally get along? It was a good question, since historically, the two groups have been at odds. Unlike people with anorexia or bulimia, who tend to be excessively thin, many binge eaters are overweight or obese.. Whole grains may reduce your risk of diabetes and help maintain blood sugar levels. Try to make sure at least half your grains are whole grains. Get more information here. Tell us, what are your favorite whole grain foods?.